Sans Serif is the minimalist/drone project of multi-instrumentalist Forrest Fang, perhaps best known to Hypnos listeners for his superb album Gongland on the Projekt label, as well as his instrumental contibutions to several Robert Rich albums. 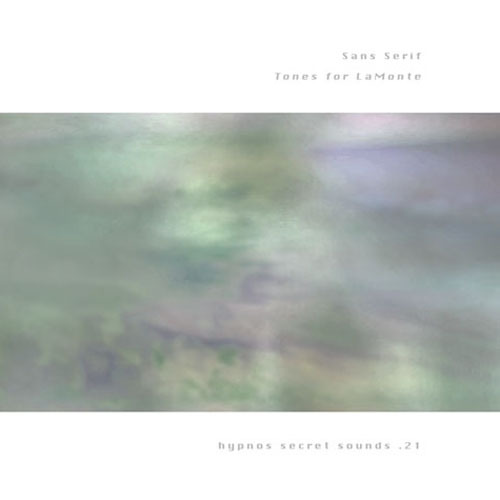 The debut recording by Sans Serif, Tones for LaMonte, is a drone work in tribute to the recently-deceased minimalist LaMonte Young. More information about this upcoming release on Hypnos Secret Sounds will be announced soon. Forrest Fang is a multi-instrumentalist and composer who has released 7 recordings over the past 17 years for the Ominous Thud and Cuneiform Records labels. His eclectic music incorporates both Western and non-Western influences as wide-ranging as minimalism and Chinese classical music. He has also been a guest artist on recordings by ambient artists Robert Rich and Carl Weingarten. His last world progressive release, The Blind Messenger, is available on CD from Wayside Music, the mailorder arm of Cuneiform, and on-line from a number of internet vendors, including Amazon.Com. Fang's projects include a recent collaboration with guitarist Carl Weingarten entitled "Invisibility" released on July 29, 2006 on The Foundry, and an ambient release on Projekt released in 2000 entitled "Gongland" that is now available on ITunes.